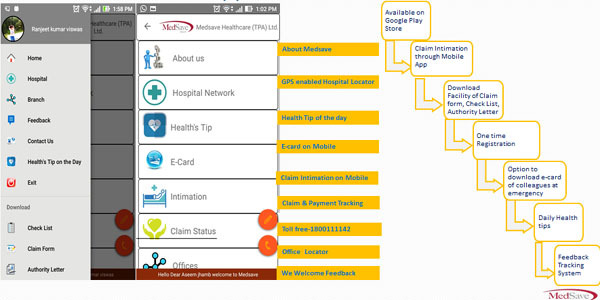 MedSave enables a complete claim management system for cashless & reimbursement claims. We undertake enrollment, cashless authorizations, claims reimbursements with multiple quality checks through trained doctors & auditors on a timely fashion. Our MedSave Analytics center as an portal and MIS System provides real time update of your portfolio with tracking of all important with data matrics & graphics. This helps with tracking risk & reducing ICR. Partnering with MedSave enables you to make a pan-India network of healthcare providers, offering preferred tariffs on a range of procedures, available to your policy holders. We undertake pre-policy screening for applicants of your health insurance policy. We coordinate with applicants to schedule their health screening as per the norms stated in the policy at a conveniently located medical centre. The reports and recommendations are made available online to enable quick decision making. Our policy holder can create their own personalised login credentials and to intimate/track all claims in real time. Our online portal gives our policy holder a host of benefits for better health. Our dedicated online portal for insurance agents gives your agents anytime, anywhere access to critical information about the policies they handle. With 24/7 Call Centre support, insured can call from anywhere at anytime and get immediate info about the policy and claim status.